In Which I Tell You That You Must, Must Read This Book! If you don’t like mystery thrillers, well alright. Then don’t read it. But you’re missing out! I am not usually a mystery reader but this book had me hooked beginning to end. The writing was beautiful, which I found to be an unusual but wonderful difference from normal mysteries. I was emotionally invested from the moment I picked it up. Many readers have said that the end is a cop out but I disagree wholeheartedly. Do not listen to these reviews! The entire book leads up to the end, and it does so brilliantly. The POV is interesting too – the entire book is one woman’s letter to her murdered sibling. In this letter she describes her journey to find her sister’s killer, even when no one believes her sister was murdered. I was completely engrossed the entire time. I read this book as a free book from work. Normally, as I’ve said in past posts, these books are not so great. Oh yes, they go on to be bestsellers and what have you, but they are not well written or engrossing. This book was different. 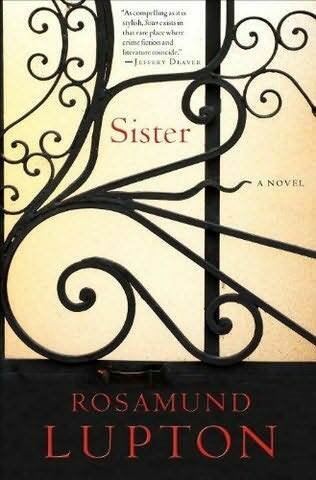 When it comes out in June, pick up Sister by Rosamund Lupton. You won’t be sorry. ← I Submitted, I Submitted! Hannah, Mysteries are my favorite. I will watch for this book.